Efficient name in the industry involved in offering the optimum quality of Automatic Glue Binding Machine. - With a binding length of 320mm and thickness 50mm, heating time 10mins, and can bind up to 120 pieces. These high quality Glue Binding Machines are made by using very high quality raw material which ensures hassle free work performance at its user end. 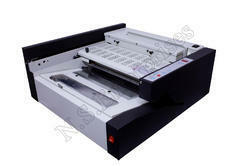 These Binding Machines are widely finds its valuable application in various industrial sectors. - Seven book clamps operating in a oval shaped Path. Touch the key then you can finish all the flow conveniently and quickly. 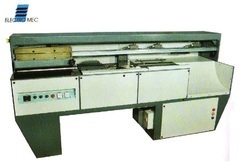 Kumaran pb 650 model perfect hard glue binding machine meets requirements of the in-plant shop, small to large notebook manufacturing units, printers and traders binders. Excellent productivity, high quality book binding, side glueing rollers for even binding. FAST - EASY - EXTREMELY STRONG.